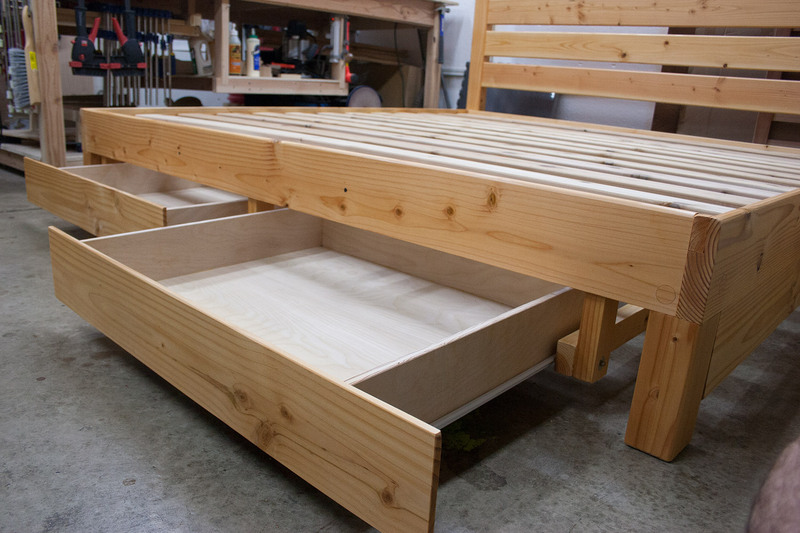 After numerous inquiries about the possibility of putting the drawers on the end of a bed frame instead of the sides, it’s finally happened! I made a king frame with headboard and two drawers coming out the foot of the bed. The design I came up with is still pretty simple and takes about as much time to assemble as a regular frame with drawers on the sides. Check out the last few photos on the drawers page.